During the past 50 years I have been given the chance to watch many great workers in therapy, education, business and other fields. One common theme has stood out. 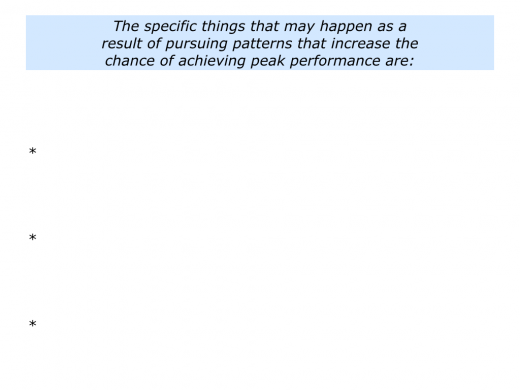 They all pursue patterns that increase their chances of achieving peak performance. Such people often study what works. They clarify the principles that individuals, teams and organisations follow to achieve success. 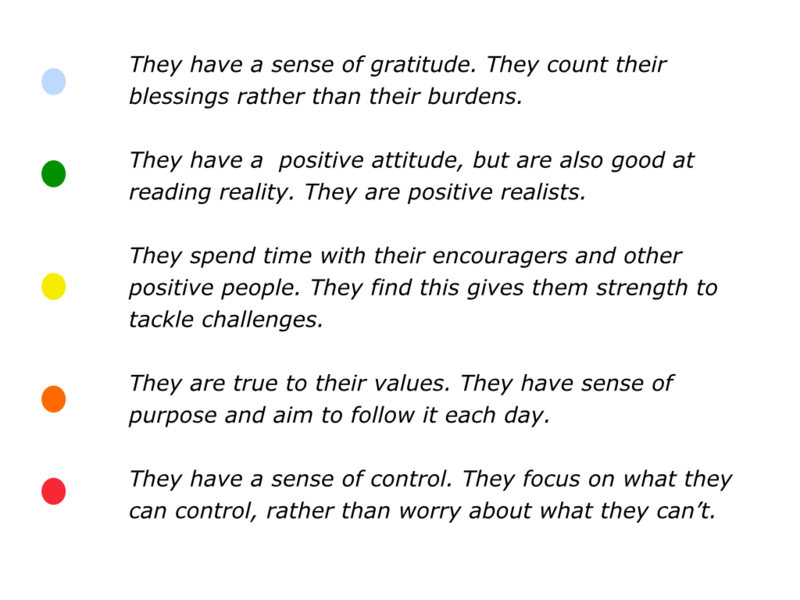 They then translate these into patterns they can follow to achieve their goals. 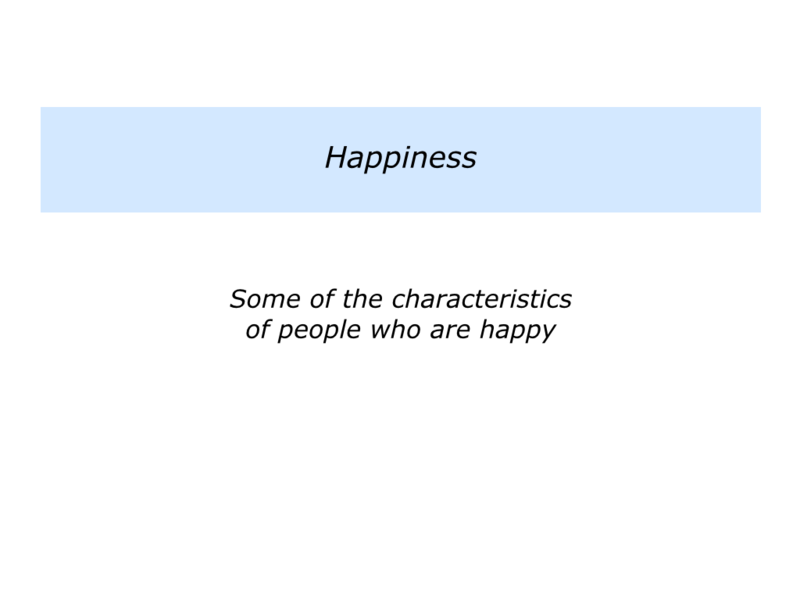 Looking at our own lives, many of us know how to make ourselves happy or unhappy. Every person is different, but we know it helps to do things that give us positive energy. The next step is to translate this knowledge into patterns we can follow in our daily lives. During the past thirty years there have been many studies of happy people. 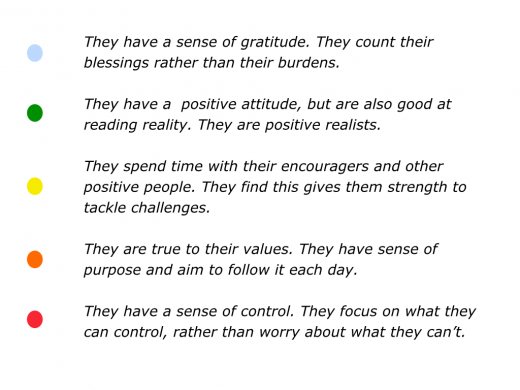 These have shown that such people often demonstrate the following characteristics. Different people will, of course, express these in different ways. Looking back at your own life, when have you chosen to build on what you know works? You may have been aiming to improve your health, recover from a setback, make a transition, do satisfying work, tackle a challenge, lead a team or whatever. 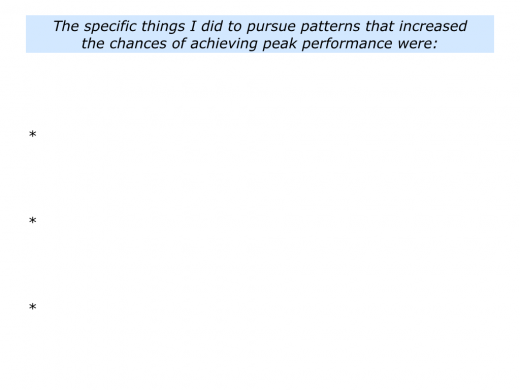 What did you do to study what works? 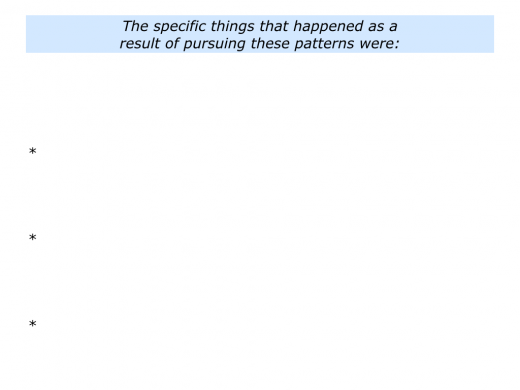 How did you clarify the patterns you wanted to follow? How did you translate these into a clear action plan? How did you maintain the discipline of doing these practical things each day? 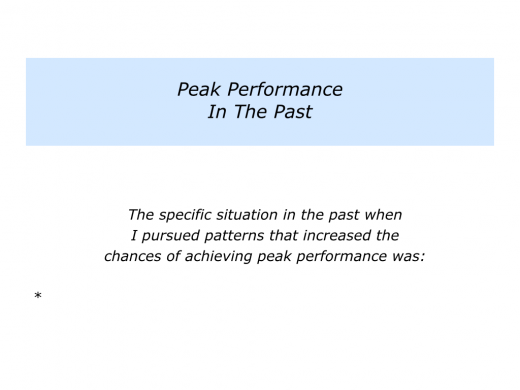 What happened as a result of achieving your equivalent of peak performance? Describe a specific situation in the past when you pursued patterns that increased your chances of achieving peak performance. 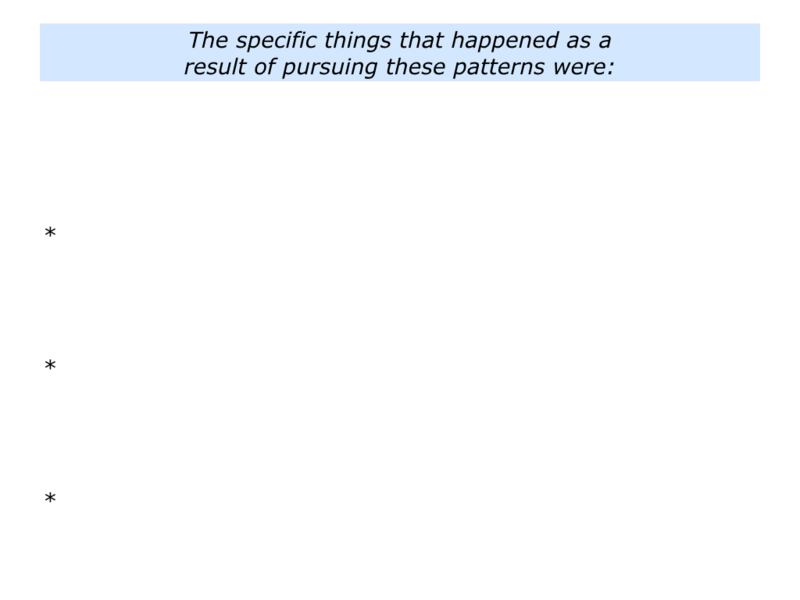 Describe the specific things you did to pursue these patterns. 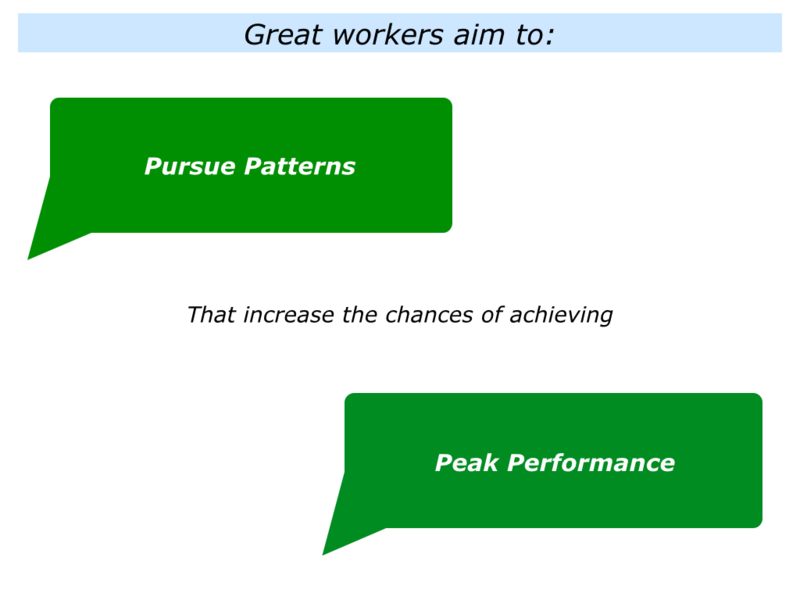 Great leaders increase the chances of their team or organisation achieving success. They often build a positive and professional culture. They then implement the right strategy with the right people in the right way. Such leaders educate and enable their people to perform superb work. They encourage them to follow patterns that increase the chances of achieving peak performance. The specific times when they have performed brilliantly in the past. The specific things they did right then – the principles they followed – to perform brilliantly. The specific things they can do to follow these principles – plus maybe add other skills – to perform brilliantly in the future. AI is based on an organic approach. It shows people that they already have the seeds of success within them. 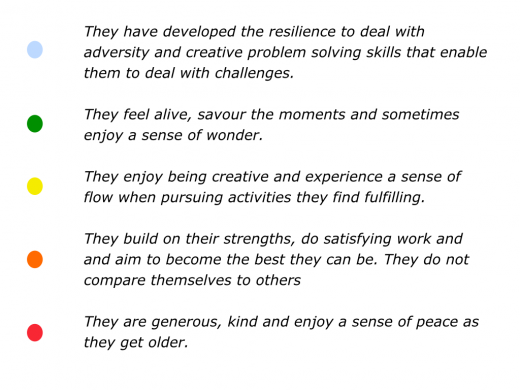 They already have strengths and successful patterns. 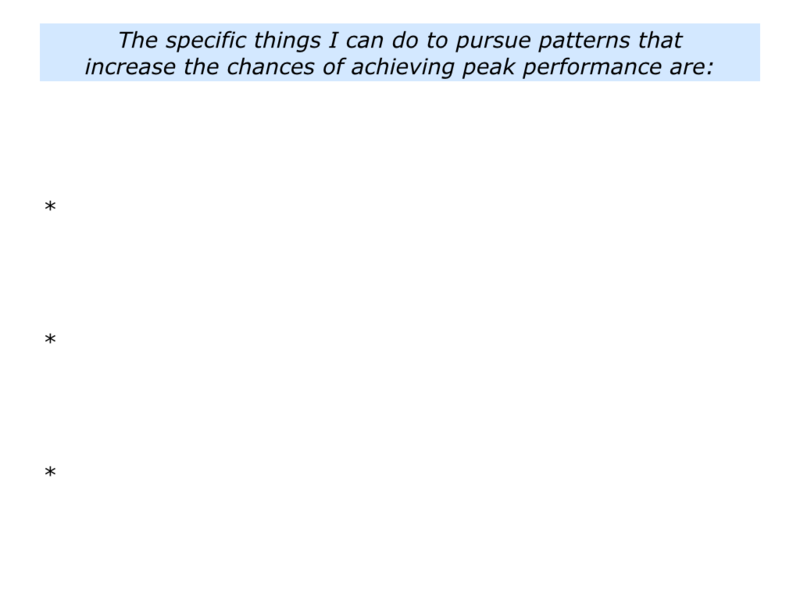 People can build on these patterns to achieve success. You can learn more about Appreciative Inquiry vial the following link and video. Some leaders follow the purpose, principles and practice approach. Gathering their people together, they give everybody the big picture by saying some of the following things. I am going to give an overview of our organisation’s purpose and the part you can play in making this happen. Later I will give some examples of how people have contributed to this purpose in the past and how they can contribute in the future. But first let me give an outline of our overall approach to working together. Some leaders choose another approach. They keep giving people context by communicating the team’s story, strategy and road to success. They then invite people to reflect and decide if they want to contribute towards achieving the goals. If so, people make clear contracts about their contributions and are given the necessary support. People are then encouraged to do superb work, provide progress reports and help to achieve the picture of success. Good leaders use different approaches to help their people to deliver the goods. Whatever approach they use, however, such leaders do due diligence. They clarify the strategies people can follow to give themselves the greatest chance of success. 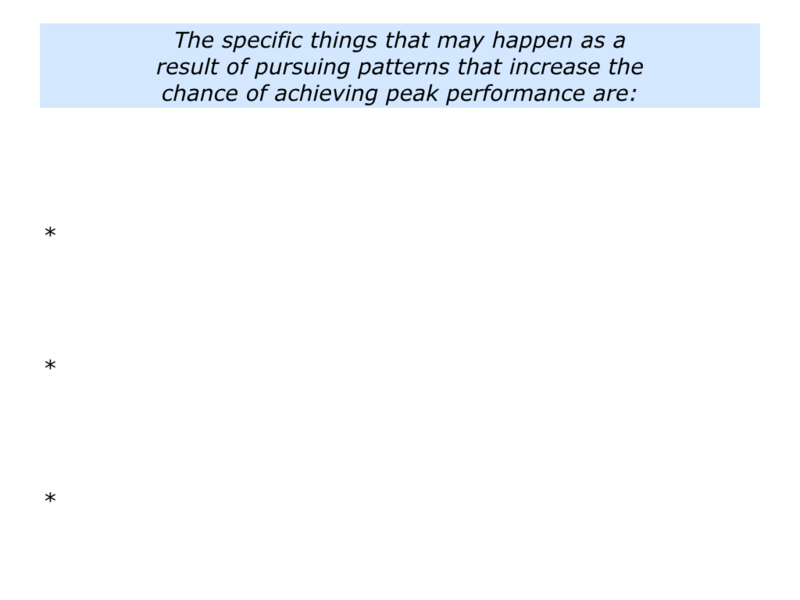 They then encourage people to follow these patterns to achieve peak performance. Different leaders may use different models for explaining to people how to reach their goals. Whatever model they use, however, they often communicate: a) The Destination; b) The Dos and Don’ts; c) The Daily Support. 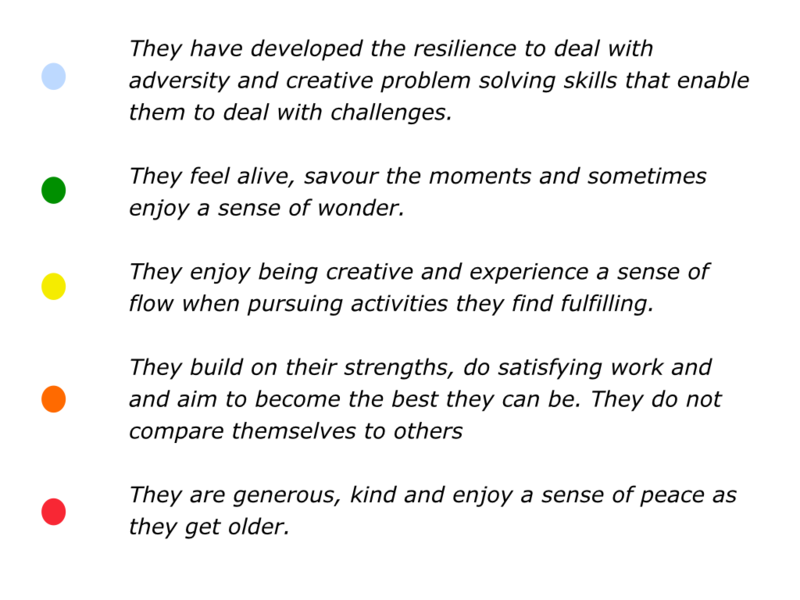 They communicate the following themes. Good leaders communicate this framework in their own ways. They also give people the opportunity to decide if they want to contribute. They then encourage people to follow the patterns that are most likely to achieve peak performance. Let’s return to your own life and work. 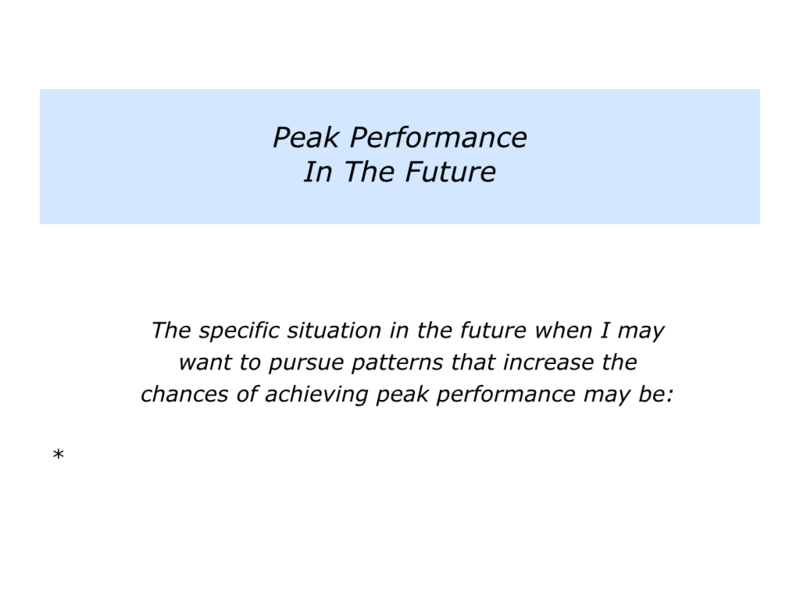 Looking ahead, can you think of a situation when you may want to follow certain patterns to achieve a specific goal? This could be in your personal or professional life. Let’s assume you have done your due diligence. Building on what works, you know how to give yourself the greatest chance of success. You also know how to translate these principles into daily habits and do your best to achieve your goals. 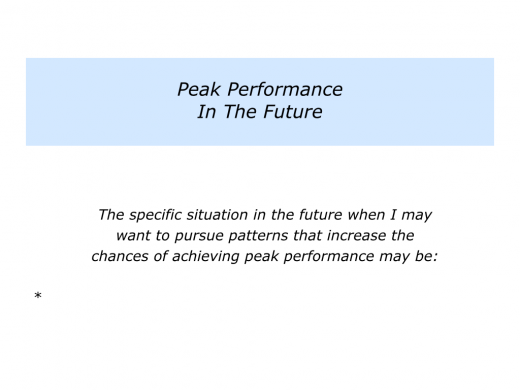 Describe a specific situation in the future when you may want to pursue patterns that increase your chances of achieving peak performance. 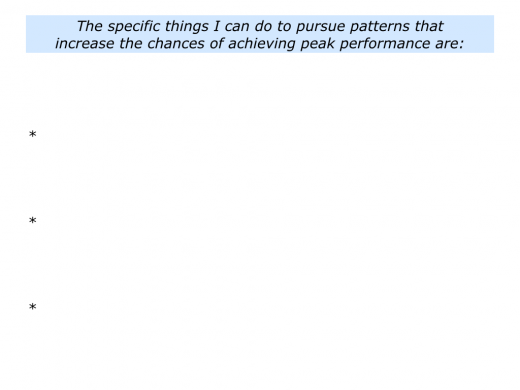 Describe the specific things you can do to pursue these patterns.